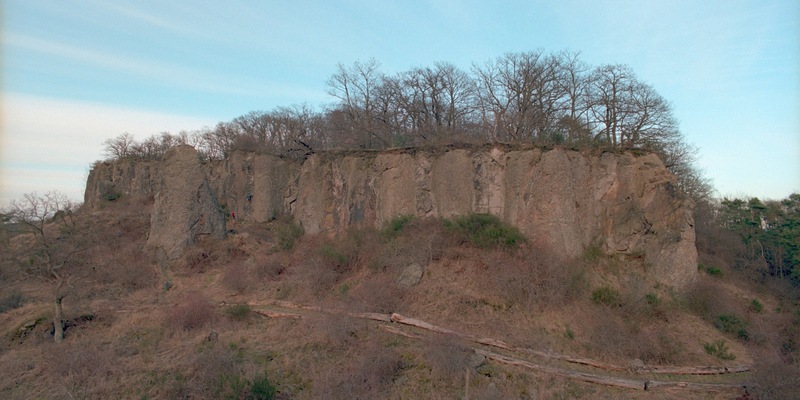 The "Stenzelberg" is a small but beautiful climbing crag near Cologne. Climbing is banned since a few years, when the area became a nature reservation. The situation is currently being reevaluated, and here are some overview shots taken for the environmental conception that Frank Bechtloff has been working on. Somewhat paradoxically, two climbers can be seen somewhere in the pictures. For the last shot, I bouldered onto the 8 or 10m high "Campanile Alto" tower, shortly before last das light.